Sip craft cocktails and sample wines at a historic inn or restaurant as summer fades into fall. Join harvest festivals, hike a heritage trail, or explore a town rich with character when you visit these enduring places, all of which were included in Preservation magazine’s fall 2018 issue as part of the "Weekend Getaways" advertising special. 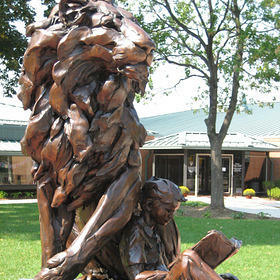 A thriving community made with uncommon character for over 175 years, St. Joseph is home to 13 museums, 12 festivals, a thriving arts and music culture, and a unique park system. 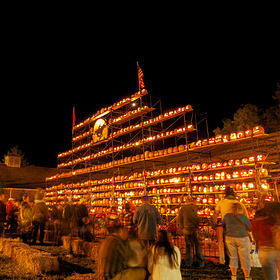 This fall, check out the town’s many themed festivals, such as PumpkinFest. Just west of St. Louis, you’ll find St. Charles, a river city with a unique historical perspective, beautiful sites, friendly people, and a pace just a little slower than that of the big city. The people of St. Charles have labored lovingly to preserve and share its treasured river heritage. 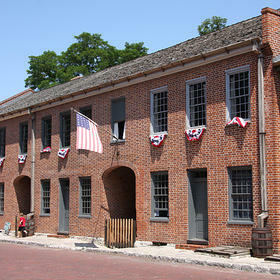 Experience the charm and beauty of a city that has been welcoming visitors since 1769. 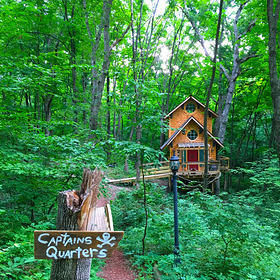 Go off the grid via the scenic Great River Road to the secluded 10-Acre Tree Houses near historic Nauvoo. Before leaving civilization, explore Quincy’s libations-themed history and savor hand-crafted cocktails on the new 99 Watering Holes self-guided mini crawls, scattered throughout the city’s four historic districts. 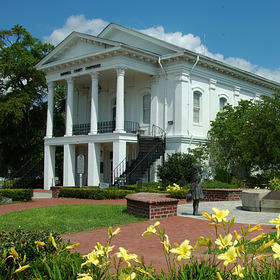 Discover the past as you explore Civil War battle sites and view plantation homes of yesteryear. Learn about Aiken’s beginnings as a winter colony for wealthy northerners. 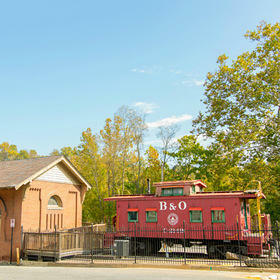 Quench your thirst at the Healing Springs near Blackville. Paddle the Edisto River, the longest free-flowing blackwater river in the United States. Stroll downtown districts and off-the-beaten-path shops for world-renowned artwork, locally thrown pottery, handmade crafts, and other one-of-a-kind treasures. Stroll Carroll County’s historic downtown main streets to discover architectural walking tours, unique shops, restaurants with everything from down-home cooking to gourmet delights, and restful bed-and-breakfasts waiting for you. Plus, follow the wine trail to discover unique wines created from local grapes. 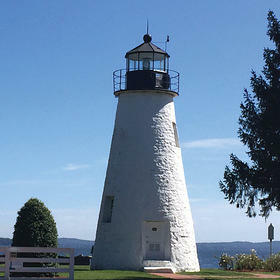 Chosen by “Smithsonian” magazine as one of the “best small towns to visit in 2014,” Havre de Grace offers beauty and rich heritage to all who visit. Five museums, three National Scenic Trails, and stunning views along the promenade make it a trip worth taking. The perfect combination of historic and hip, Howard County is located in the center of Maryland and is convenient to local main streets and other historic settings. Discover museums and historic sites, antiques centers, craft galleries, artist studios, specialty shops, destination restaurants, and more. With the historic towns of Chestertown, Rock Hall, Galena, Betterton, and Millington—plus incredible fall foliage—there’s no shortage of picture-perfect moments at this peninsula on the Chesapeake Bay. Step back in time with Civil War, Captain John Smith, and War of 1812 historic trail sites. Enjoy theaters, art galleries, specialty shops, quaint beaches, an award-winning farmers and artisans market, wineries, distilleries, and more. 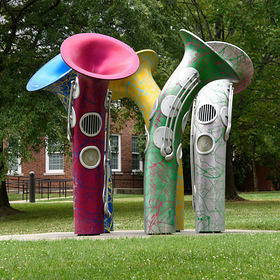 Neighbor to the nation’s capital, Prince George’s County is home to extraordinary sites, museums, festivals, and events such as the College Park Aviation Museum, National Colonial Farm, National Radio & Television Museum, Surratt House, Riversdale, Darnall’s Chance, Montpelier Mansion, and more. Prince George’s also features some of the region’s top attractions, including National Harbor, Six Flags America, The Capital Wheel, and the MGM National Harbor Resort Casino. 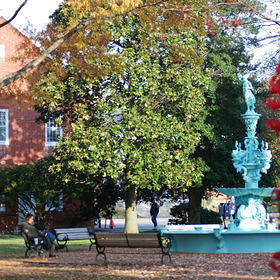 Autumn is magical in Talbot County. It’s perhaps the best time for biking and sailing, as well as exploring the coastal towns of Easton, Oxford, St. Michaels, and Tilghman Island. In fall 2018, the Chesapeake Bay Maritime Museum relaunches the queen of its fleet, the bugeye sailboat Edna E. Lockwood, at OysterFest on October 27 after a three-year restoration. 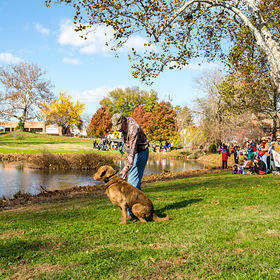 Plus, Easton’s Annual Waterfowl Festival on November 9–11 is an Eastern Shore tradition. What if the decade that changed everything was about to begin … again? 2019 marks the 50th anniversary of the greatest festival of all: Woodstock. 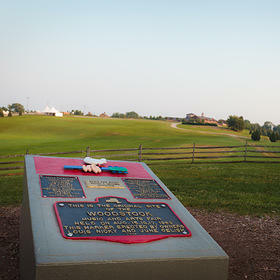 Located at the historic site of the festival in Bethel, New York, The Museum at Bethel Woods takes visitors deep into the history and impact of the 1960s and Woodstock. 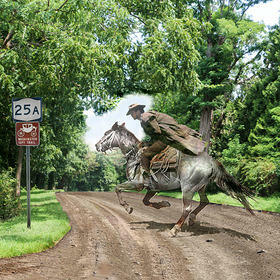 Spies, bootleggers and bluebloods—travel along Route 25A on Long Island and discover the intrigue of America’s first spy ring. Find a history steeped in the tales of Gilded Age bluebloods and Prohibition-era bootleggers. Explore Long Island’s colorful history on the Washington Spy Trail. There’s an undeniable comfort that comes as the buzz of summer gently fades into autumn on the Rhode Island coast. Maybe it’s the familiar sound of waves hitting the shoreline as your background music. 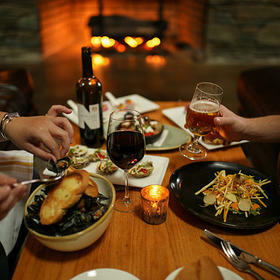 Maybe it’s the aroma of a meal crafted with the colors of harvest next to an amber fireside and good company. Maybe it’s the cozy feeling you get as soft light wanes over the annual harvest fair on one of Newport’s historic wharves. Maybe you’ll have to come see for yourself. If you are interested in advertising with Preservation magazine, you can contact us. Your gift today will be put to immediate use, shaping the future of the places that matter.